The name of the ensemble, One Love Brass Band, and its concept of Jamaica’s genres of reggae and ska meeting New Orleans’ own unique cultural brassy sound, are both ace. After all, ska music was influenced by New Orleans jazz heard over the radio airwaves in the island nation and reggae has definitely made its way into this city’s brass band realm. The album gets off to a good, happy start on saxophonist’s David Bode’s “Working on Getting Right,” with some poppin’ drums by Boyanna Trayanova. This number certainly should get a crowd movin’ in a good direction. The closer the group stays to its brassy reggae/ska intent the better things move and groove. One of the best cuts is a tune by saxophonist, pianist, organist and melodica player Kyle Cripps, “I Ain’t a Poacher.” With Cripps as the lead vocalist, it screams honesty and authenticity instrumentally, lyrically and melodically. It offers a message, a point of view that has been an essential part of reggae and much of Jamaican music. Cripps also pens the next ska-suggestive cut, “Ringo (The Bear),” which takes advantage of the wealth of instruments available in the group including Bode’s baritone saxophone and guest artist Scott Frock’s trumpet. When One Love veers too far from the mission suggested by its usually descriptive name—One Love from Bob Marley’s reggae classic; Brass Band indicating the instrumentation including tuba—it loses some of its identity and verve. 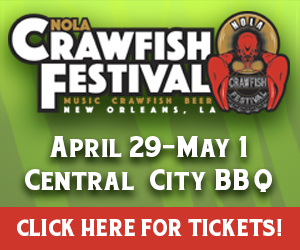 Jamaican ska, reggae and rocksteady have long been a natural marriage with Louisiana music—brass bands, Mardi Gras Indians, rhythm and blues, zydeco. 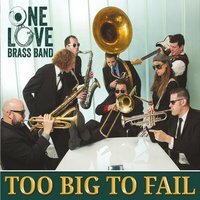 On Too Big to Fail, One Love Brass Band has the potential to further the union.